Vodafone Fiji football team captain Roy Krishna has called on fans to come out in numbers and support the team when they host the Mauritius national side in Sunday’s final match of the Three-Nations FIFA Internationally Friendly tournament at Lautoka’s Churchill Park. With both teams recording comfortable victories over New Caledonia in their previous matches, the deciding game of the tournament is promising to be a thrilling encounter. Krishna, who has been in sensational goal scoring form for his New Zealand based A-League club the Wellington Phoenix, can’t wait to captain his his country after joining the national team earlier this week. And the 31-year-old striker is hoping for a large home crowd to support the team. “It is going to be a tough match. 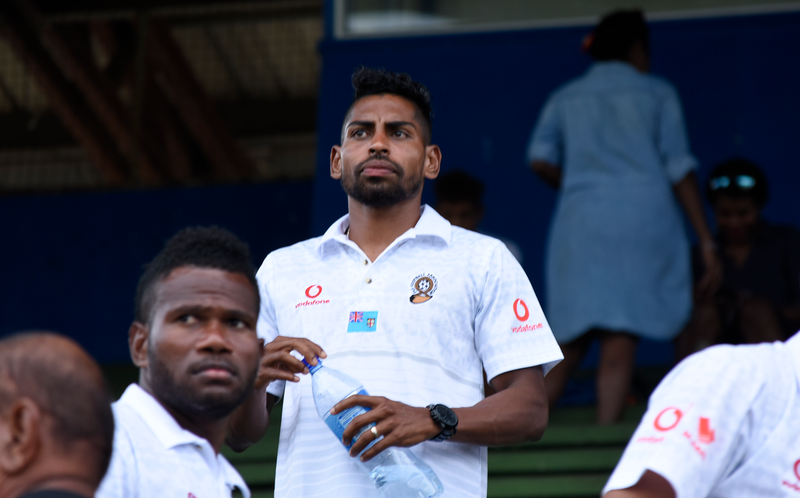 “The guys who played against New Caledonia on Monday deserves a big crowd support and hopefully we will see Fijian colours on Sunday,” added Khrishna. Wellington Phoenix’s leading goal scorer says they will focus on themselves and work on the game plan designed by the coaching staff. “We will stick to our game plan against the Dodos and for sure we will come out with 3 points,” he insisted. Meanwhile Fijian defender Laisenia Raura will miss the match alongside Mauritius midfielder Jean Jacques Desire Patate after both were sent off in their respective matches. Canadian born Fiji defender Nicholas Prasad is recovering well after sustaining an ankle injury against New Caledonia and has started training in the hope of getting the greenlight from the physiotherapists for Sunday. Defender Kolinio Sivoki who missed the match against Les Cagous is likely to feature in the final match. “Depends on his performance during the training sessions, we will determine whether or not he will be in the starting line-up,” said Kumar.